The Goal Getter table has a wooden look with robot style foosball men. The Goal Getter is made by the Harvard manufacturer and is at the lowest end of the tables they make. This means that it is a great play table to buy for young kids who will beat up the table and are just looking to spin and hit the balls in the goal without learning the ins and outs of the professional foosball shots. 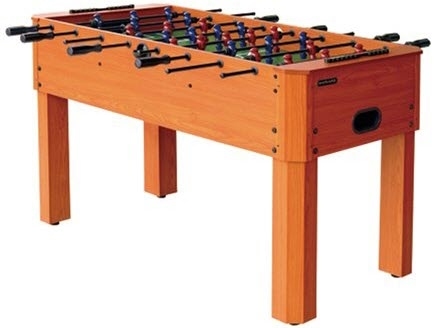 This foosball table is priced at around $225 US.